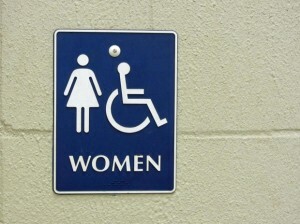 GLOUCESTER, Va. — A school district in Virginia has voted to enact a policy requiring students use the restroom that correlates with their biological gender. “It shall be the practice of the (Gloucester County Public Schools) to provide male and female restroom and locker room facilities in its schools, and the use of said facilities shall be limited to the corresponding biological genders, and students with gender identity issues shall be provided an alternative private facility,” the approved policy reads. The six to one vote came after controversy arose over a teenage girl at Gloucester High School who identifies as a boy and thus wishes to use the boy’s restroom at school. Gavin Grimm, 15, told reporters earlier this month that she began using the boys’ restroom after obtaining permission from the school principal when she expressed disapproval over being forced to use the nurse restroom. So, the student asked the principal about the matter, who suggested that Grimm go ahead and use the boy’s restroom since she identifies as a boy. But some of the parents of the male students soon learned about the allowance, and the issue turned up before the school district. Earlier this month, approximately 30 area residents spoke out at the district meeting, most of which supported the proposed policy requiring restroom use to correlate with one’s biological gender. According to the Daily Press, one male student said that some of his peers were afraid to express an opinion over the matter for fear that they would be perceived as haters. But after the board voted to approve the policy, the American Civil Liberties Union (ACLU) filed a complaint with the U.S. Department of Justice and Department of Education, alleging discrimination. The Christian legal organization Alliance Defending Freedom (ADF), however, sent a letter to Gloucester County Public Schools stating that it had made the proper decision for the well-being of all students. It also sent a sample policy for review.